Home > Running Necklaces > BELIEVE IN YOURSELF Self Tie Necklace - Pewter Charm on 3 Feet of Self Tie Micro Fiber Suede - Pewter Pendant with 36 inch micro fiber suede lace cord - Choose Your Color! 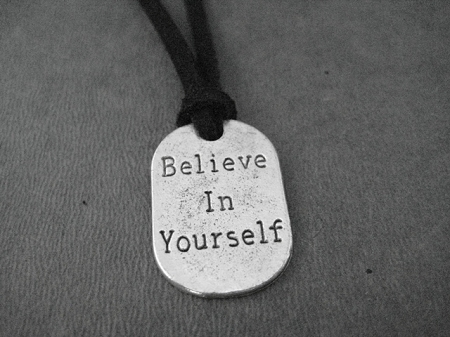 The BELIEVE IN YOURSELF Pewter Pendant Self Tie Necklace on Micro Fiber Suede is a great motivator! Simple! BELIEVE IN YOURSELF! Heavy Duty Thick Dog Tag Style Pewter Pendant measures 3/4 x 1 inch long. The BELIEVE IN YOURSELF Pewter Pendant Self Tie Necklace on Micro Fiber Suede makes a great statement piece! Perfect as a gift for yourself or for your running buddies! The BELIEVE IN YOURSELF PEWTER PENDANT SELF TIE NECKLACE on MICRO FIBER SUEDE is made one size fits all! The Believe in Yourself Pendant is attached with a simple Lark's Head knot. Easy to wear, simply tie it around your neck and go! 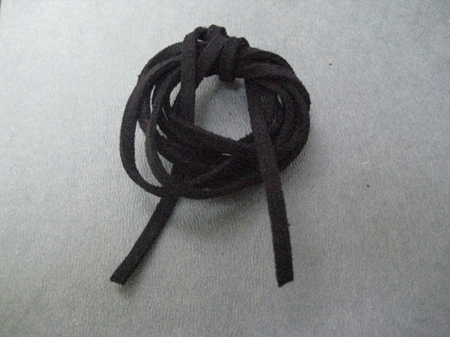 Microfiber Suede cord is 3 mm wide x 1 mm thick specially treated soft, velvety microfiber making it look like leather, only better! It will not crack, weather or smell and it washes easily with warm soapy water.